The new model is working successfully. After revamping their content strategy for SkratchTV, May and June video views increased 230% over the previous period. 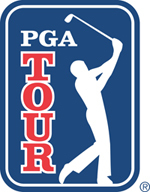 In addition, the PGA TOUR’s cumulative social audience is majority millennial. D.J. Piehowski is the Director of Content at the PGA TOUR’s SkratchTV, a digital network aimed at attracting a younger fan base to the game of golf. Prior to joining Skratch, Piehowski led content production for the PGA TOUR’s social media channels and served as a producer and writer for PGATOUR.COM. He’s covered golf at all levels for the TOUR and Golfweek magazine since graduating from Bradley University in Peoria, Illinois. Despite this exposure, his golf game continues to get worse.